Yes, the Totem is one sculpt, no plan for a second pose. I like the idea of a blood bone keeper! In a near future, after I had stabilized the month release, I can make it, nice the idea of switching arms/weapon. Will be nice to know a priority list from you, so I can regulate the upcoming release looking your idea and suggestion. Great to see the website up ad running Francesco. I am sure Horned God was asking if you have done any crew or warriors for the War Torkha piece. Hope all goes to plan with this new venture. 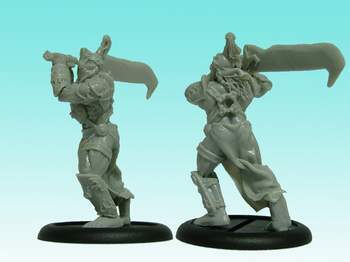 Yes, I will sculpt two wartorka crew warriors, and want release in the some time with wartorka. The crossbow crew will be into the wartorka blister, the warrior are separate option. Here is to hoping that 2013 goes really well for everyoe on these forums. 2013 could see lots of new pieces to be used in Chronopia and Warzone from the little ventures on these forums. With the Torka coming from Francesco and Alex's Vulture Totem the Dwarves have extra units to add.I have some new pieces to fill in more units for the Wolf Clan too and a Mauler for the Bloodbone's. Will your other Ogres be making a comeback Francesco? I have most of these and must get around to paintig mine.Never enough time of motivation. The old ogre deathseeker model are substituted by the new one (you can find on ghamak.com). Jackal crossbow are discontinued, I would like to do it again, but have other priorities. I've got a bunch of Francesco's figures, and I like them all a lot - I can't wait to see the War Torkha finished. I'll definitely be adding it to my collection. Really busy my friend. Soon new preview. 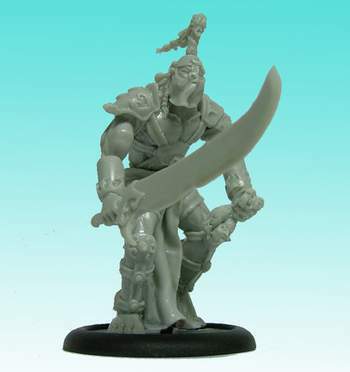 The new 19th and forgotten are around the corner , after these, the war torka and war torka warrior preview. Thank for your comment Alex. Hi Francesco, are there any News about the forgotten and war thorka? I still want to buy both and a Big bear Totem! Find a way to add it to another game line it is pretty. Cool to have a creature with a xrossbow like that. How about a kickstarter?